At the start of each year, the American Society of Clinical Oncology (ASCO) releases its Clinical Cancer Advances report. This in-depth report is published in ASCO’s Journal of Clinical Oncology and covers the major advances made in cancer care over the past year, including prevention, treatment, patient care, and a look toward the future. Each year, leaders in the oncology field also select an area of research that achieved the greatest progress to name the Advance of the Year. The 2019 Advance of the Year is progress in treating rare cancers. Rare cancers account for about 20% of all cancer cases each year in the United States but finding new treatments for them has been difficult. Because each of these cancers may affect so few people, it is much tougher for health professionals to fully understand the disease. Having fewer patients available also makes it challenging to develop scientifically rigorous clinical trials, which are research studies involving volunteers and are the backbone of progress in cancer treatment. 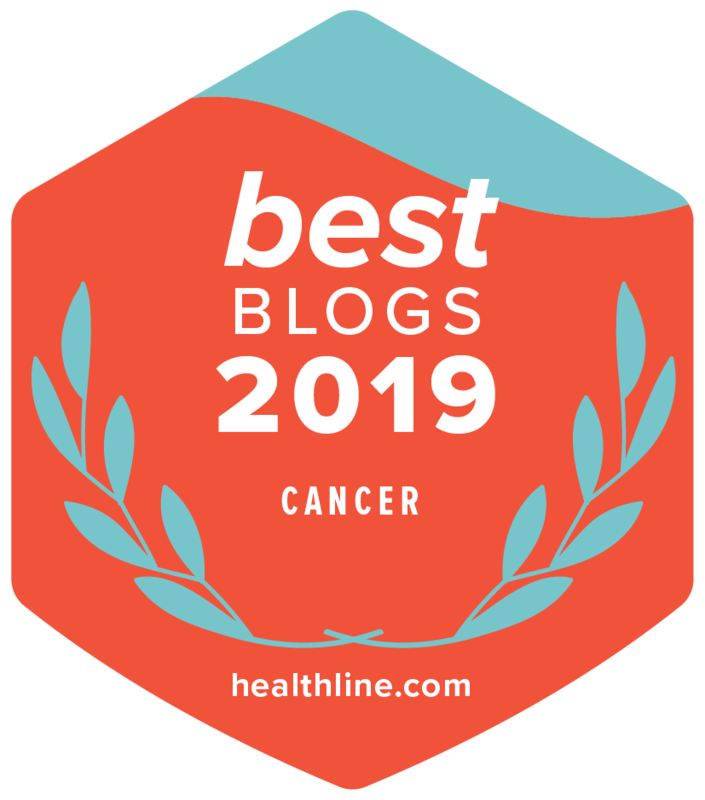 Despite these and other hurdles, the past 12 months brought remarkable progress in treating several rare tumors, leading to this area being named the Advance of the Year. “It’s exciting to see such substantial progress over the course of a single year, particularly against rare cancers. With U.S. cancer cases set to rise by roughly a third over the next decade, we must continue to advance research that saves lives,” said ASCO President Monica Bertagnolli, MD, FACS, FASCO. The 2019 Clinical Cancer Advances report highlights 5 treatment advances that were particularly important for rare cancers. Many of these new treatments are targeted therapies. Targeted therapy is a treatment that targets the cancer’s specific genes, proteins, or the tissue environment that contributes to cancer growth and survival. This type of treatment blocks the growth and spread of cancer cells while limiting damage to healthy cells. Anaplastic thyroid cancer is a rare, fast-growing type of thyroid cancer. Because it grows so quickly, it is especially difficult to treat. In 2018, the U.S. Food and Drug Administration (FDA) approved the first treatment for this disease in almost 50 years. This treatment is a combination of 2 targeted therapies, dabrafenib (Tafinlar), a BRAF inhibitor, and trametinib (Mekinist), a MEK inhibitor, for people with anaplastic thyroid cancer with a specific genetic change, or mutation, in the BRAF gene. The approval was based on data released in 2018 from a clinical trial that included 16 people with tumors with a BRAF mutation. All of these people had already been treated with radiation therapy, surgery, chemotherapy, or a combination of these treatments. Of those in the study, 69% of the cancers stopped growing or shrunk because of the treatment combination. The researchers were not able to determine whether the treatment would help people live longer, a clinical end point called “overall survival,” when they released the study data, but they estimated that at least 80% of people with tumors that responded to the treatment would benefit from the combination. The dabrafenib and trametinib combination is now a standard of care for anaplastic thyroid cancer that cannot be removed surgically or has spread to distant sites. A desmoid tumor, also called deep fibromatosis, is a rare type of soft-tissue sarcoma that develops in the connective tissues that support and connect the body. Desmoid tumors are challenging to treat and can come back after treatment unexpectedly. And, some of these tumors may shrink or disappear without systemic treatment. Sarcomas are uncommon, and desmoid tumors are even more rare, so finding enough people with this kind of tumor to study in a clinical trial has been difficult. A recent study examined using sorafenib (Nexavar) to treat desmoid tumors in 87 people across 25 different study locations. Sorafenib is a type of targeted therapy called a tyrosine kinase inhibitor. It is currently used to treat liver, thyroid, and kidney cancer. Of those who took sorafenib, 87% had their disease stopped for more than 1 year, compared to 43% who did not receive the drug. In this study, 18% of patients who took sorafenib had to stop taking the drug because of side effects. Midgut neuroendocrine tumors (NETs) are a rare type of gastrointestinal tract NET, which were previously called carcinoid tumors. All NETs are considered malignant tumors. Advanced midgut NETs are usually treated with synthetic forms of the somatostatin hormone, such as octreotide (Sandostatin) or lanreotide (Somatuline Depot). An international research study investigated treating advanced midgut NETs with a medication called 177Lu-Dotatate (Lutathera). This is a radioactive drug that consists of the radioisotope 177Lu attached to octreotide. It works by binding to a cell’s somatostatin receptor, which may be present on certain tumors. After binding to the receptor, the drug enters the cell, allowing radiation to damage the tumor cells. Researchers estimated that, at 20 months, the 117Lu-Dotatate had stopped the disease from growing or spreading in 65% of the people who received it, compared with about 11% of the people who received octreotide alone. Further analysis of the data revealed that 14 people receiving 177Lu-Dotatate died and 26 people receiving only octreotide died, suggesting that this treatment helps people live longer. Based on this study, the FDA approved this treatment in January 2018 for adults with advanced midgut NETs. A later study that followed these patients, published in September 2018, found that treatment with 177Lu-Dotatate also provided more months of better health than octreotide (about 29 months versus 6 months) and more months of better physical function (25 months versus about 12 months). Uterine serous carcinoma is a rare, aggressive type of endometrial cancer. About 30% of these tumors express the HER2 gene. In a phase II clinical trial, researchers found adding trastuzumab (Herceptin) to a combination of chemotherapy was more effective in treating these kinds of tumors than the chemotherapy alone. Trastuzumab is a HER2 targeted therapy mostly used to treat HER2-positive breast cancer. The clinical trial participants were women with stage III or IV, HER2-positive uterine serous carcinoma. Study results showed that adding trastuzumab stopped the progression of the disease for a median of 12.6 months, compared with 8 months for those who received just standard chemotherapy. The median is the midpoint, meaning that half of the patients had their disease stopped for less than the median and half had their disease stopped for more than the median. Tenosynovial giant cell tumor is a rare type of sarcoma that affects the tendons and joints and is diagnosed mainly in younger adults. These tumors can seriously affect a person’s physical abilities. There is currently no standard of care for treating tenosynovial giant cell tumors. Most often, treatment involves surgery to remove the membrane that lines a joint, usually the knee, but some patients may need full-joint replacements. A global clinical trial was able to enroll and treat 120 people with this kind of tumor. The treatment being studied was pexidartinib, a type of targeted treatment called a colony-stimulating factor-1 (CSF-1) inhibitor. Of the 61 people who took pexidartinib, the drug worked in 39.3% of them and improved their pain, range of motion, and physical function. Taking pexidartinib did cause serious liver problems in some patients. Further research is being done to learn more about CSF-1 inhibitors’ effect on the liver to help decide if this treatment should be recommended for patients. To read ASCO’s full 2019 Clinical Cancer Advances report (available as a PDF; 49 pages), visit ASCO’s website at www.asco.org/cca.